The procedure can be done by opening the Start menu, then clicking on Computer. After you righ-click the hard drive you intend to check, click the button called Properties. Then Tools, and Error-checking. You can also choose to automatically fix the file system errrors by selecting this option from the menu. Windows also gives you the posssibility to recover bad sectors, but this procedure is not always successful because it depends on several factors and take a long time to complete. External hard drives also breakdown sometimes bacause they are exposed to factors that influence the way they work. A computer has many parts but the hard drive is one of the few that include a mechanical component. Some hard drives might be slow when they function because they have problems with the mechanical arm that moves when something is written or red from the disk. 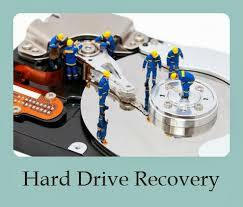 The hard drive is predisposed to all types of errors and faults. If the data writing process is interrupted your hard drive will display errors. In case of minor hard drive errors and problems it is not necesssary to give it to an expert to solve the problem because it can be easily fixed with the help of the utility Check Disk found in your computer’s Windows operating system. When you run the Check Disk utility close all the programs that are running on your computer. An interesting program found on the internet is TuneUp Disk Doctor. You can use it to check disk sectors, free space on your hard drive, file and folder structure, indexes, security descriptors and offrers solutions to the problems you encounter. It can diagnose and fix problems caused by power outages, hardware defects, startup difficulties of your computer or missing files from the hard drive. If have problems accesing your files from the computer, this program might be a solution for you. « Ce caracteristici definesc un display Full HD?